Replace your lost Stimulus Package drops, or have extras on hand. 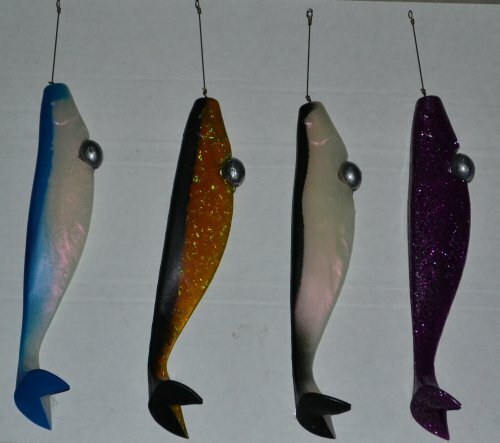 9" Shad body rigged on heavy duty wire with 1 ounce keel weight. Contact us for custom weights.